John Lennon + Van Halen = Imagijump!!! One day like any other you log in to your Facebook account to check what's new, suddenly it goes 'ping' and a chat window opens. A friend writes 'funny picture' or 'hey, you look so weird in this video' followed by two smileys and a link, you get too curious and click on the link to see what your friend meant, in the worst case you're lost: both the picture and your friend's message are fake, organized cybercrime is behind this and other tricks. them they send a message with a link to the user's friends. 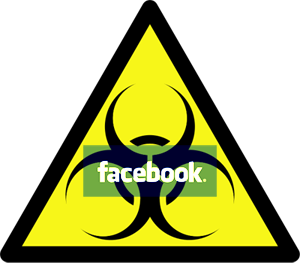 As soon as a friend clicks on the link, he comes to a modified website where a virus 'sneaks' in the users computer, his mission: get in that user's facebook account and send messages to his friends list, this way the virus reproduces itself and spreads around. Facebook says: 'as soon as a message is sent around at a unnormal speed in a short period of time, it gets block automatically by our systems' but that doesn't seem to be enough, so how can you protect yourself without depending on Facebooks system? How many meter does a sea mile have? You don't know the answers? well, me neither, but that doesn't matter, because since 10 years we can rely on Wikipedia giving the answers to these and millions of other questions and it has become a part of our lives as common as toasted bread and traffic jams. Today kids can barely believe that there used to be a time when you would have to actually open and read a book (or many ) whenever you needed some information on a particular subject. Wikipedia is one of the best examples why the internet so wonderful is and why we couldn't picture life without it anymore. But lets go back 10 years in time and witness the 'birth' and humble beginnings of Wikipedia. Wikipedia is in my opinion the ultimate source of knowledge nowadays and nobody at Brockhaus & Co. is laughing about it anymore. It's been translated in 260 languages. It has more than 10 million articles. The English Wikipedia is with over 3,46 million articles the world's biggest. The biggest part of Wikipedia's articles are about art and culture (33%) followed by biographies (15%) and history (11%) and is in permanent expansion, making it mankind's ultimate knowledge collection and something we just couldn't live without, happy birthday Wikipedia. Free and Open Source audio application. The Open Source world has a gazillion free applications to offer, here are some of the best audio applications offered, be it an audio player, a very profesional drum machine or a audio editor, you may find something to your liking.